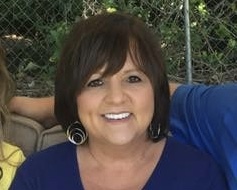 Ms. Linda Norton Smith, 53, passed away peacefully and surrounded by her family on Monday, February 4, 2019. A funeral service will be held at 3:00 p.m. on Friday, February 8, 2019 at Light House Nation located at 14861 Rea Magnet Road, Laurinburg, NC. The family will receive friends from 6:00 until 8:00 p.m. on Thursday February 7, 2019 at the Church. Burial will follow at Hillside Memorial Park in Laurinburg. Born July 3, 1965 in Laurinburg, NC, she was the first daughter of Carolyn Butler Norton and the Late James Alex Norton. Linda worked with Scotland County Schools as the Benefits specialist for many years, where she was dedicated fully to the entire staff of the Scotland County Schools. Linda loved her family more than anything in this world and would do anything for them. She was the most loving and giving person and never met a stranger. She loved being “Linny” to her two grandchildren which were her world. Linda loved the beach and making people happy. In addition to her daddy, James Alex Norton, she was preceded in death by her maternal grandparents Ed and Alma Scott Butler, and her paternal grandparents, Alexander and Annie Mae Davis Norton, and several aunts, uncles and cousins. She is survived by her son Steven Wilkes and wife, Jennifer of Laurinburg; her mother Carolyn Butler Norton and friend, Everette Cooper of Laurinburg; brother Michael Norton and friend Patsy of Laurinburg; sister, Lorie Sewell and husband Willie of Laurinburg; grandchildren, her heart, Jace Colburn, and her sunshine, Jenna Wilkes. She is also survived by her, nephews, that were more like her sons, Matthew Sewell and wife, Whitney, Dustin Sewell and fiancé, Brittany, and Justin Sewell and wife Taylor; great nephews, Fisher and Easton Sewell, great nieces, Paisley Sewell, and Brynleigh Sewell that will be born in May; her uncle Russell and, wife Brigella of Laurel Hill; aunts, Betty Butler of Laurel Hill, Vivian Cranston of Wilmington, NC, Audrey Terry and husband Mike of Gibson, Teresa Butler of Laurinburg, and Sharon Butler of Laurinburg; a special best friend, Sharon Norris Baldwin and a host of other family and friends. In Lieu of flowers, the family requests memorials be made to Light House Nation, PO 2442, Laurinburg, NC 28353 or to the Scotland Cancer Treatment Center, 500 Laurinburg, NC 28352. Services are entrusted to Kiser Funeral Home in Cheraw, SC.